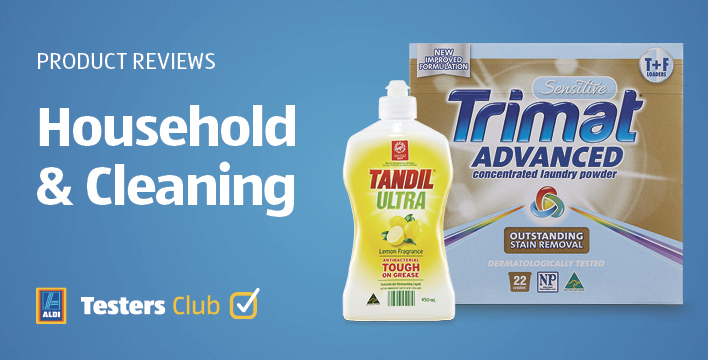 We believe in our household and cleaning products so much, we were excited to include them in our testers club box. It’s safe to say that after trying them, our members were excited as well! "Works just as well (if not better) than any of the more expensive brands. Dishes were brilliantly clean and bright. I will definitely buy this over other brands in the future." 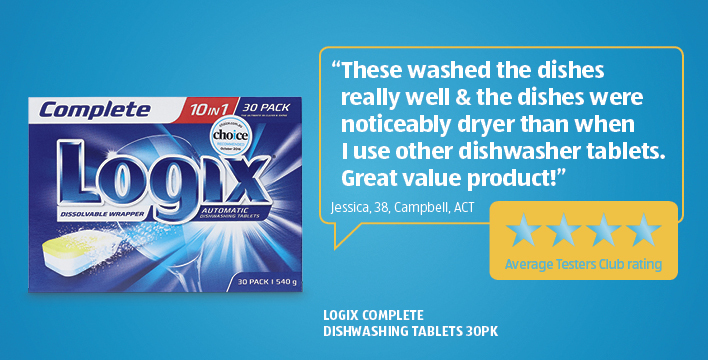 "Worked great, left my dishes sparkling clean." "It does clean your dishes and is safe in all dishwashers. I have used these for a while now and so has my adult children. We all have different brand machines and find it great." "Great product. My dishes were spotless and glassware was left without any streaks. I also like that the packaging is dissolvable, which is a big bonus as it's easier to use." "Love the fact it's dermalogically tested, perfume free whilst being highly concentrated. Used it for the first time on my towels, they're soft & spotless." "This is a great product, kind on my sensitive skin, no itches. Works well in cold and warm water. Seems to get good results on stains." 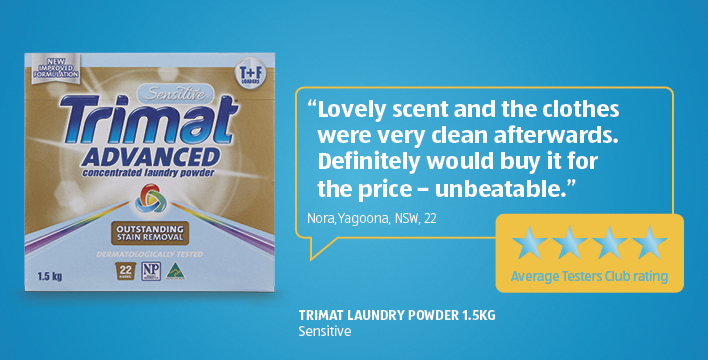 "Such a great value product - cleans well, clothes come out clean and with no powdery residue. I will buy again." "Excellent, effective product, Australian made, good price. Ticks all the boxes." 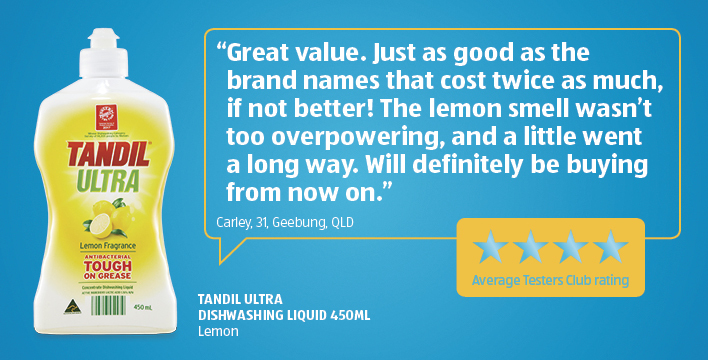 "Good sturdy concentrated anti-bacterial dishwashing liquid." "Doesn't make your hands feel worn when you're washing dishes. This is in the groceries now." "Nice smelling with long lasting bubbles. Cut through grease easily eliminating the need for a scourer." "I found this product very good. Just two drops gave you a great deal of suds and washed up great." "Quite the best paper towel I have used"
"Hands down, the best value paper towel on the market." 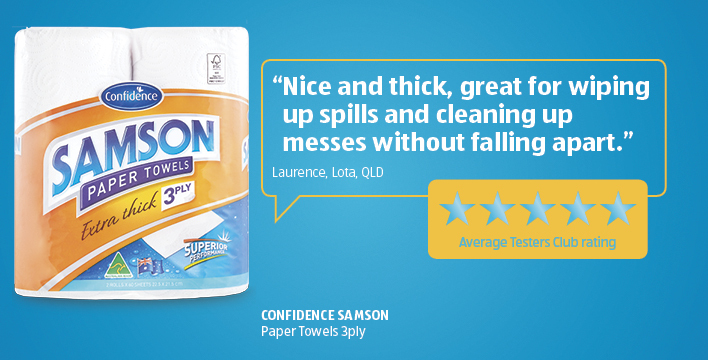 "Strong and durable paper towels that were easy to use."